Mardi Himal Base Camp trekking is one of the newly explored and emerging trekking routes in Nepal. The trail has now become the best alternative to the popular Annapurna Circuit trek due to the ongoing road construction through the existing trek route. One of the great features of this the Mardi Himal trek is it passes through the unexplored parts of the Annapurna Conservation Area. The Mardi Himal trek is becoming an ideal destination among domestic and foreign trekkers. There are different options available from 5 to 14 days. It offers an opportunity to explore the traditional villages, incredible scenery, diverse culture, panoramic views of the mountains and tempting views of the snow-fed rivers. Likewise, this trek takes you into one of the untouched areas in the Himalayas. 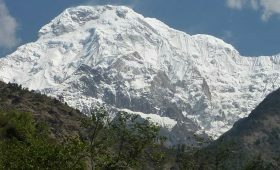 The trek also offers the breathtaking views of the famous peaks such as Dhaulagiri (8,167m), Annapurna I (8,091m), Annapurna II (7,937m), Annapurna III (7,555m), Annapurna IV (7,525m), Annapurna South (7,219m) and Hiunchuli (6,441m). The trail is rich with the diverse vegetation of birch, rhododendrons, hemlock and pine forests. 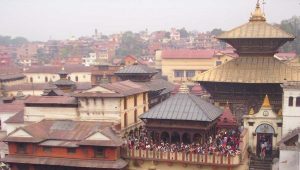 It is a blend of adventure, culture and scenery. 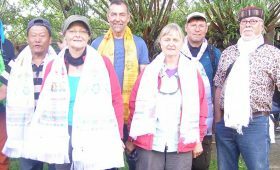 While trekking through the Mardi Himal trail, it rewards with an opportunity to experience the warm welcoming, hospitality, culture and tradition of the region. The trail has home-stay facility where trekkers can enjoy with the organic food and typical life-style of the villagers. Further ahead of Low Camp refers to as an ideal Mardi view point (2,090m). 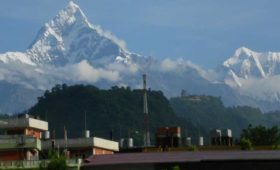 Mardi Himal and Mt. Fishtail are seen at a closer distance from here. Cost for Mardi Himal trek: US $650 per person. Group discounts available. Personal equipment such as sleeping bag, jacket, boots etc. 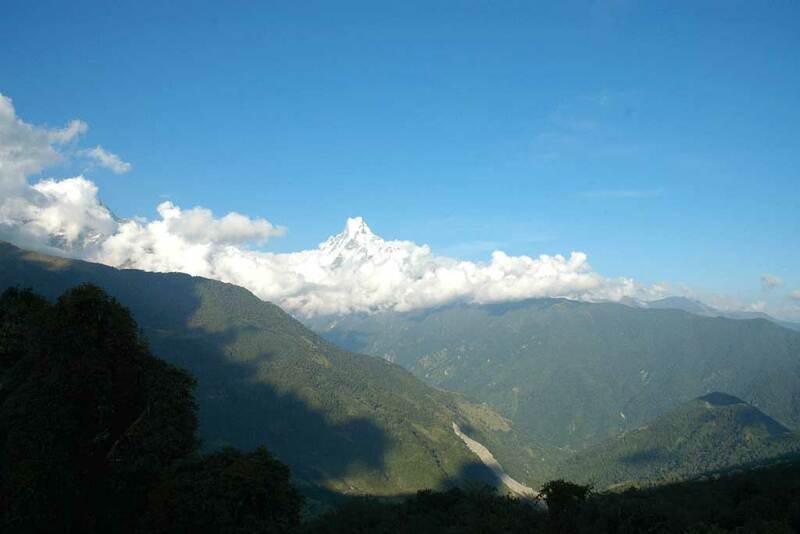 The best times considered for Mardi Himal Himal trek are during spring (March to mid May) and autumn (Sept to mid Nov). The days are sunny and warm yet the evenings are cool and can tumble to solidifying in higher elevations. 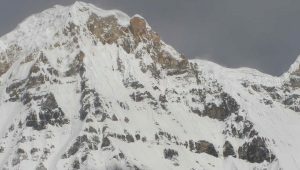 However, trekking in early winter is also possible through the Mardi Himal trail in favourable weather conditions. It can be very cold during winter. Some people even enjoy trekking in summer to the Base Camp of Mardi Himal. 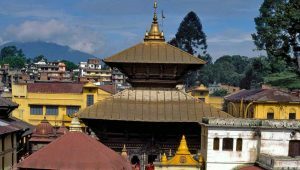 [Day 01] : Drive (200km) by bus or car/fly from Kathmandu to Pokhara (884m). [Day 02] : Again dive from Pokhara to Phedi and trek to Deurali (2,100m). [Day 03] : Deurali to Forest Camp (2,600m)- Trek. [Day 04] : Forest Camp to Low Camp (3,150m) – Trek. [Day 05] : Low Camp to High Camp (3,700m)- Trek. [Day 06] : Excursion trip further to Mardi Himal Base Camp (4,510m) and return trek to High Camp. [Day 07] : High Camp to Siding Village (1,750m)- Trek. [Day 08] : Trek from Siding to Lumre then drive by Jeep to Pokhara. [Day 09] : Drive/fly from Pokhara to Kathmandu. Farewell dinner. What equipment is needed for Mardi Himal trek? We have a comprehensive List of Equipment here. Therefore depending on the season, you may choose your best outfits or Contact Us for suggestion.